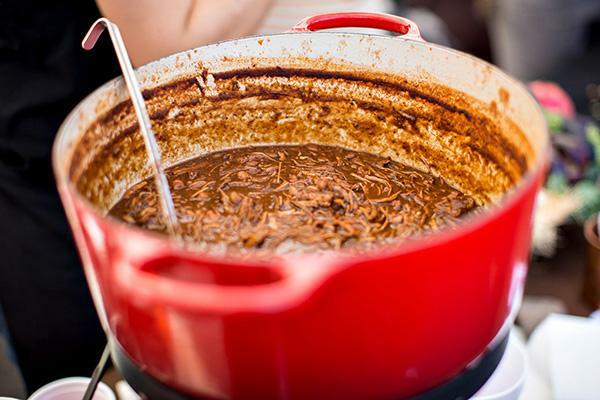 What started in 2010 as a humble community potluck hosted by the San Diego Ceramic Connection has grown into one of the most anticipated holiday events of the year: the SoNo Fest & Chili Cook-Off. 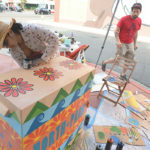 This all-volunteer event, now presented by the McKinley Elementary School Foundation and San Diego Ceramic Connection, raises money for McKinley Elementary School’s Spanish, art and music programs. Since its inception, the SoNo Fest & Chili Cook-Off has raised over $275,000 for the school’s International Baccalaureate program. 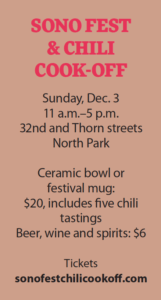 The eighth annual SoNo Fest & Chili Cook-Off — which returns Sunday, Dec. 3, to the intersection of Thorn and 32nd streets in North Park — has become one of the neighborhood’s largest festivals. 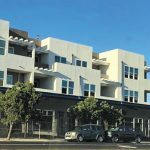 Around 20,000 hungry patrons will taste, sip, shop and play their way through the best that North Park and South Park have to offer. Drawing top restaurants and breweries from neighboring communities, SoNo will feature over 40 chefs and 20 breweries in a competitive environment. Who will win the crown for the best pot of chili in the city? 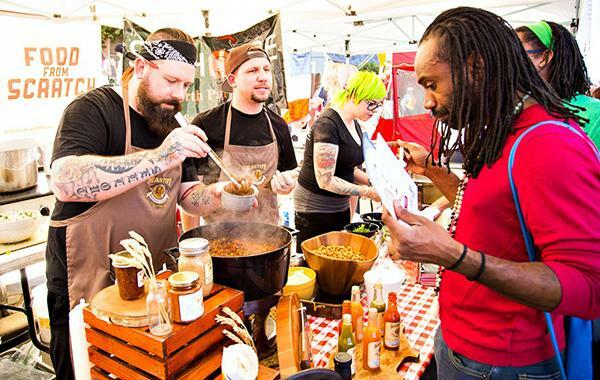 Battling it out for bragging rights to the best pot of chili in the city, the festival features 40 chefs from prominent restaurants in the neighborhood, each offering up a special chili inspired by their locale. Not limited to the traditional bean-and-beef chili recipes, chefs pull out all the stops with their creative concoctions. 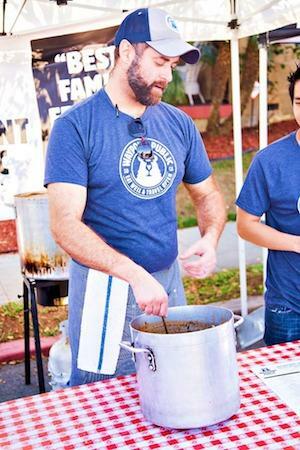 Chef Rich Sweeney of Waypoint Public in North Park stirs a pot of chili. Past winners have included a Japanese curry chili from Underbelly, a smoked lamb leg and tri-tip chipotle chili from Toronado, and a shrimp and seafood “sausage-style” smoked chili with smoked jalapeño cream from South Park Brewing Company. Vegetarian and vegan creations ensure there’s something for everyone, with standout tastings from notable establishments such as Kindred and Anthem Vegan. Commemorative festival mugs and ceramic bowls from San Diego Ceramic Connection will be sold for $20, and will include five chili tastings. 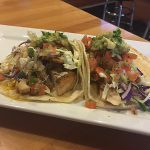 Five additional tastings can be purchased for $15. 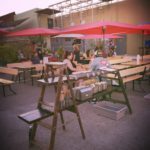 Drawing on North Park’s reputation as a craft beer mecca, SoNo Fest & Chili Cook-Off’s beer garden features 20 breweries from the surrounding areas. Hop heads will be able to purchase pours ($6 each) from newcomers such as a Bivouac Ciderworks and Boochcraft. New for this year, Cutwater Spirits will be cracking open their famous canned cocktails from their designated pop-up. Popular flavors including gin and tonic, and a vodka mule. Italian pizzeria Buona Forchetta’s vintage pizza truck will sling out their award-winning Neapolitan slices from inside the garden for those looking for a lite bite in-between sips. 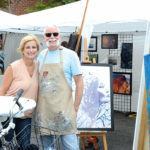 Those looking to partake in some last-minute holiday shopping can browse the Holiday Marketplace, where nearly 30 local makers and artisans will be offering their unique, homemade wares to shoppers. A curated mix of locally-made goods, including kid’s clothes, stationary, jewelry, and home décor, the holiday market features brands such as Craft Beard, Nomad West and Loa Designs Jewelry. Truly an all-ages event, the SoNo Fest & Chili Cook-Off features an interactive Kids Fest and two live music stages, offering entertainment long past the initial chili samplings. Over on 32nd Street, kids can run free in the SoNo Kids Fest, with multiple bounce houses, carnival games, face painters, and so much more. For music lovers, two stages belt out tunes from local bands all day long, including hometown favorites and local legends.